The Andes comprise one of the most prominent structural features of South America. From initial orogeny dating to pre-Cretaceous and final uplift during the Plio-Pliestocene (no less than a million years ago), these mountains have been a dynamic pallet for Nature's processes for an extended period. They form a continuous, high elevation chain, largely unbroken for over 7500 kms along the Pacific side of South America, generally above 3000 m, between Venezuela and Tierra del Fuego. The interaction of elevation with climate and hydrology produce an exceedingly varied environmental mosaic ranging from arid intermontane valleys to very wet montane forests and varied alpine environments. The development of these features has undoubtedly influenced the differentiation of many elements of the South American biota. 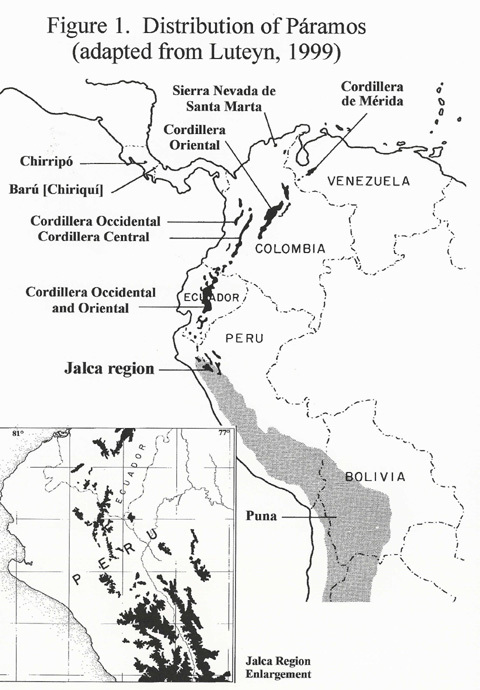 The interaction between high elevations and latitudinal range yield several types of specialized alpine environments broadly referred to as páramos (Cuatrecasas, 1968; Luteyn, 1999, Fig. 1). In northern Peru, between the páramos to the north and puna to the south, there exist transitional alpine communities above 3000 m known locally as jalca formations (Weberbauer, 1936, 1945) These formations are restricted to an area roughly bounded by 4.5-8° S latitude and 77-80° W latitude and are estimated to contain 420,000 hectares (Sánchez Vega, pers. comm.) or ca. 4200 km sq. While exacting definitions are lacking, jalca is usually interpreted as drier than páramo and wetter than puna (Bazán-Zurita et al., 1998; Luteyn, 1999; Sánchez, 1976). Luteyn (1999) has suggested that, generally, the jalca formations are more similar to the páramos of southern Ecuador. It remains an open question if this region is distinguished by either biotic or climatic parameters or if the region can be thought of as a more diverse and complex northern extension of the “altiplano” (Cabrera & Wallink, 1973). While the main chain of the Andes is largely un-interrupted, in northern Peru (4°-6° S lat.) where there exists a pronounced discontinuity as the mountains bend from NW to NE and become fragmented, resulting in one of the lowest bisecting passes anywhere from Colombia to Terria del Fuego. This region is referred to as the Huancabamba Deflection (also termed Huancabamba Depression, Piura Divide, North Peruvian Low and in Peru "Depression de Huarmaca" for the district), so-named because of the change in orientation of the Andean chains (Fig. 1). Here, the Amazonian and Pacific slopes are separated by a pass, the Abra de Porculla, only slightly over 2000 m in elevation. The Huancabamba Deflection is only about 100 km wide and passes directly through the Departments of Piura, Cajamarca, to Amazonas in northern Peru. Cajamarca is the source of no fewer than a dozen cuencas (source basins) with rivers feeding both the Atlantic and Pacific versants. This region is geographically complex and marks where the primary Cordillera breaks up into a series of chains of small isolated ranges of low, dissected mountains with deep, dry valleys generally 1000-2000 m in elevation. It is delimited on its western edge by the Cordillera Huancabamba and the south flowing Río Huancabamba (SSE at from ca. 5°15" S, 79°27'W). The Rio Chotano flows north and meets the Río Huancabamba to form the southern arc of the eastward flowing Río Chamaya (ca. 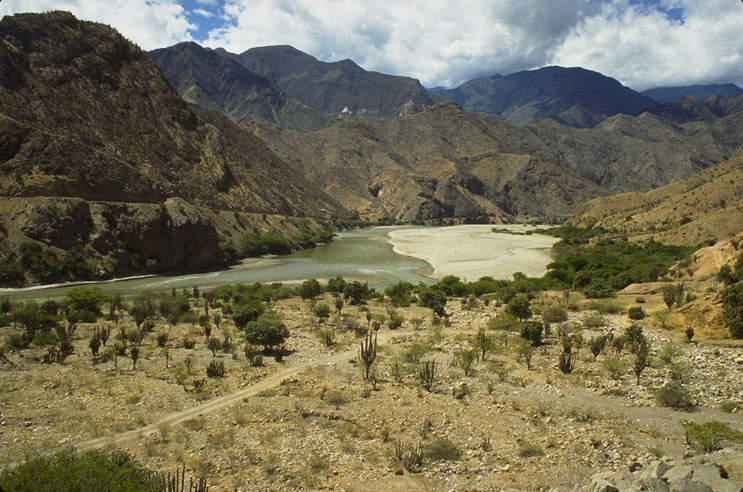 6° S) which inturn joins the north-flowing Río Marañón and south flowing Río Chinchipe from southern Ecuador. The interior of the Upper Río Marañón and its tributaries in this area are dry, rain-shadow valleys that produce a sharp environmental contrast with the humid Amazonian forests farther east. Throughout the region, however, on both Amazonian and Pacific slopes, wet cloud forest forms at appropriate elevations, generally between 1500-2500 m, where ever the slopes trap sufficient moisture; above the forested zones, more open jalca vegetation formations cover the higher elevations. At lower elevations on the Pacific slopes, the montane vegetation gives way to thorn scrub and extremely arid deserts. Habitat heterogeneity and fragmentation in this region appears to have affected speciation, endemism, and overall biodiversity in both plants and animals. Dry inter-Andean valley of Rio Marañón, north of Balsas. Thus, the Huancabamba Deflection and the jalca formations, that occupy the upper-elevations within the region, form an extremely complex environmental mosaic, perhaps more varied than any other region of the Andes (Young & Reynel, 1997). The physiographic complexity of the Deflection region has led to generally poor understanding of the importance of the region both as a potential barrier to montane animal and plant lineages, and as a potential corridor between Amazonian and Pacific slope floras and faunas. Adding to the difficulty of interpreting distribution patterns in the Huancabamba Deflection are uncertainties regarding whether particular patterns are a reflection primarily of the present environmental mosaic; or if present-day distributions reflect deeper historical events that might be discovered by appropriate phylogenetic and historical biogeographic approaches. Both scales of inquiry are relevant to gaining a comprehensive insights into the processes that have shaped these communities. The jalca formations above the village of Bolivar in extreme northeastern La Libertad, represent some of the most isolated pockets of alpine vegetation on the eastern escarpment. Evidence for paleoclimate and vegetational changes in Andean South America has been summarized by various authors; only a brief account is provided here to place our area in context. Available paleoecological data (Bush et al., 1990; Rodbell et al., 1999) suggest that quite different ecological conditions existed in Ecuador during recent glacial cycles and it is here assumed that the same climatic changes influenced northern Peru. In response to glacial cycles and world-wide sea-level lowering, the climate of northern Peru was likely wetter and cooler as recently as 18,000 years ago (Simpson, 1975). Estimated sea-level lowering of over 120 m would have exposed central and northern Peru's wide continental margin, displacing the prevailing offshore north-flowing current (Rundel et al., 1991). Combined with estimated reduced temperatures of 7.5°C below present (Bush et al., 1990), these conditions increased available moisture (Servant et al., 1993) and would have permitted the southern displacement of semi-arid elements by moister communities. With the retreat of the glaciers and the reestablishment of the cool north-flowing Humboldt (Peruvian) Current, a warmer, drier coastal climate re-developed from ca. 12 °S latitude (near Lima) and north to southern Ecuador. These climatic changes and continued uplift of the Andean Cordillera resulted in a decrease in precipitation and, therefore, the extent of suitable habitat for montane forests. These events would have expanded the extent of high-elevation communities. What now remains of the forests (e.g., Canchaque, Cutervo, Monteseco, Cachil, Tongod, Ocshahuilca, La Paccha, etc.) can be viewed as islands of vegetation that now have their nearest source populations north of the Huancabamba deflection and show strongest connections with moist forests of central and southern Ecuador and Colombia (Dillon et al., 1995). They also share affinities with communities east of the Río Marañón (i.e., Río Abiseo) and contain elements from the uppermost montane forests of the eastern versant. Levels of endemism suggest that the forests of northern Peru and the upper-elevational formations that separate them, have been isolated for an extended period of time, dating from at least the last glacial cycle ca. 18,000 years ago. With this region containing so much endemic diversity in plant and animal groups, biogeographic studies are of prime interest. Approaches to biogeographic question vary greatly and have been refined in recent years (Brown & Lomolino, 1998; Morrone & Crisci, 1995; Myers & Giller, 1988). The relationships and origins of high-elevation plant communities through the neotropics has been investigated by inspecting generic-level distributions and dispersal methods (Simpson & Todzia, 1990). Lynch (1986) suggested that most explanations for the origin of high Andean herpetofauna (snakes, lizards and frogs) conformed to one of two general models. The first, basically a dispersal or invasive model, suggests that Andean taxa are derived from the surrounding lowlands via successive dispersal along elevation gradients. Phylogenetic relationships among species, according to such a model, would point to high altitude species, isolated geographically, would not be sister species, but would be the result of independent invasions of habitat islands formed by the Andean topography. Within a given area, high altitude species would have their sister taxa at lower elevations. Under the alternative model, speciation and geographic differentiation of organisms occurs concomitantly with the Andean orogeny. With increasing uplift and fragmentation (both geological and physiographic) of the uplands, differentiation of clades in the highlands occurs. Under this hypothesis, high altitude species would be expected to be close relatives despite some geographic separation. This general paradigm may be used to explain the distribution of jalca plants as well. Our ability to discriminate between these alternative hypotheses require the development of phylogenetic hypotheses typically derived from either morphological and/or molecular systematic studies of a particular taxonomic group. While our original goal was not specifically concerned with the developing phylogenies, we have collected appropriate samples for investigating several groups in more detail. 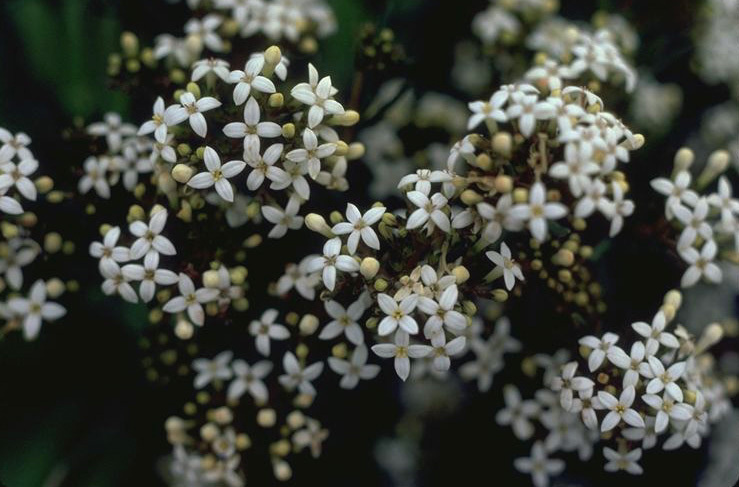 Gnaphalieae (Asteraceae) - In South America, the Gnaphalieae contain no fewer than 20 genera and over 100 species with highest diversity in the tropical and subtropical Andean Cordillera. The majority are endemics with 16 of 26 genera restricted to the New World. The elements represented in the Gnaphalieae have unresolved generic boundaries and often controversial phylogenies (Dillon, 1988; Dillon & Sagástegui 1986c, 1991a, 1991b). Monographic treatments for some genera are in progress. 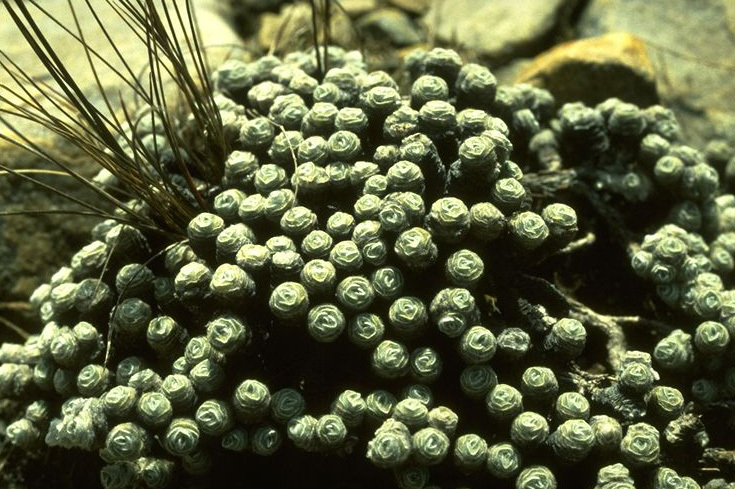 Cuatrecasasiella, Luciliocline, Mniodes, Loricaria and Jalcophila, all have endemic species occurring in the jalca and material appropriate for sequencing by collaborators will allow for assessing relationships (Dillon 2003). Astereae (Asteraceae) - Diplostephium Kunth, Laestadia Kunth, and Oritrophium (Kunth) Cuatrec. all have endemic taxa within the jalca formations. Eupatorieae (Asteraceae) - Ascidiogyne Cuatrec. has but two two species, A. sanchezvegae Cabr. and A. wurdackii Cuatarec., found within the jalca formations from either side of the Río Marañón. Ageratina Spach and Conquistianthus King & H. Rob. both have several endemics within the jalca formations. 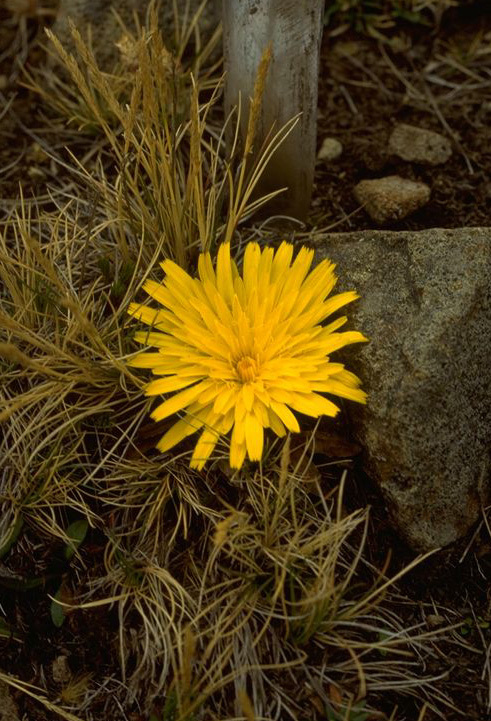 Lactuceae (Asteraceae) - Hypochaeris L. and Hieracium L. both have suites of endemic species found within the jalca formations. Liabeae (Asteraceae) - Paranephelius Poepp. has all of its diversity (6 spp.) confined to the jalca formations and a morphological monograph is in process. Senecioneae (Asteraceae) - Chersodoma Phil., Dorobaea Cass., Gynoxys Cass., Lasiocephalus Cass., Pentacalia Cass., Senecio all have endemic taxa within the jalca formations. Gentianaceae - Gentianella Moench is a speciose genus with 19 species reported from northern Peru. Halenia Borkh. is notable with 39 páramo species and but one reported from Peru. 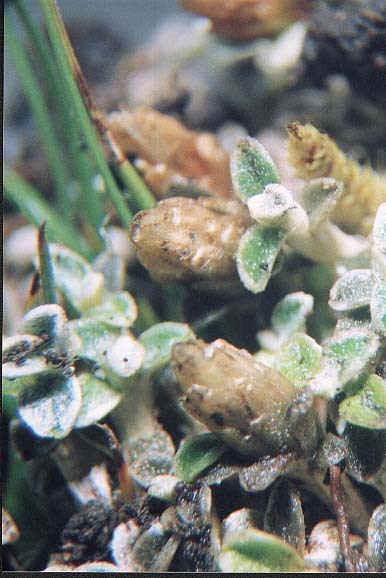 The origins of high-elevation Macrocarpaea (Griseb.) Gilg are also of interest. Calceolaria (Scrophulariaceae) is a Central and South American genus of 240-270 species which range from Mexico to Tierra del Fuego (Molau, 1988). North of the Huancabamba Deflection, Calceolaria reaches its highest species diversity in central and southern Ecuador. Species diversity decreases towards the north. South of the Deflection there is a great concentration of endemic species in the northern Peru, and in the Departments of Amazonas and Cajamarca we find the most extreme diversity of species within the entire distrubutional area of the genus. The vast majority of Calceolaria species present in the vicinity of the Deflection are restricted to one side or the barrier or the other. Similar patterns are found in Bartsia (Molau, 1990). 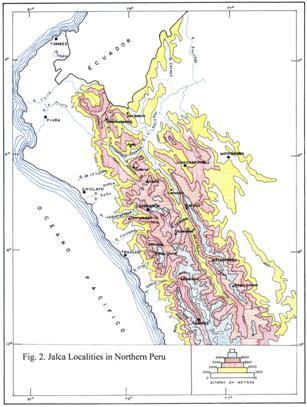 Jalca formations of northern Peru have supported pastoral residents for over 3000 years and their important position in the hydrological cycle is evident today. A multitude of river basins (cuencas) have their origins in the jalca formations and rivers flow both to the eastern (Atlantic) and western (Pacific) versants. This water supply is vital for human consumption and irrigation at lower elevations. With the recent expansion of human activities, agriculture and mining in particular, these habitats are being modified and destroyed. The soils of the jalca are fertile but highly susceptible to erosion and rivers are often polluted by mine tailings. The fragile nature of these environments and their need for immediate conservation efforts has been documented (Becker, 1988; Luteyn, 1996, 1999; Sánchez, 1976, 1996). To more fully document the biodiversity of the jalca formations and monitor the changes that are impacting this region, we completed a comprehensive, specimen-based, floristic inventory for the jalca formations of northern Peru. 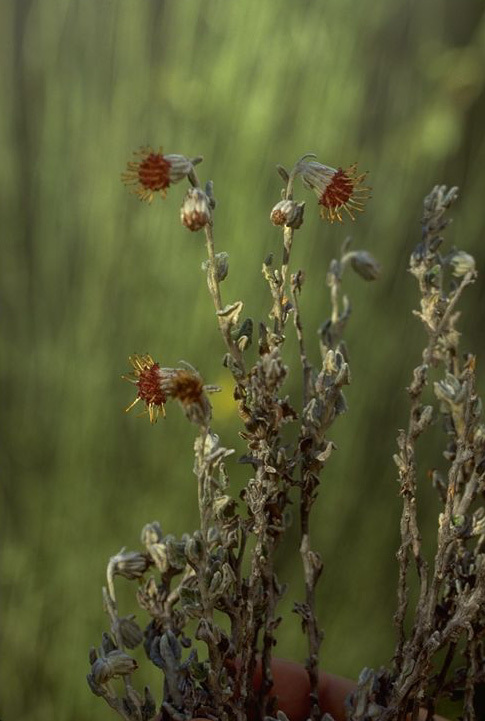 The project combined focused field collecting in specific formations with the information from existing botanical vouchers to produce a comprehensive checklist of the vascular flora of these habitats. In addition to the raw diversity data, the resulting database is being used for biogeographic analysis of distributional patterns, both for individual taxonomic groups and vegetational communities. Collections also provide material for taxon-level studies of relevant groups in collaborating laboratories. Estimates for the diversity and taxonomic content are available for the entirety of the páramo formations (Luteyn, 1996, 1999). He reported a total of 3047 gymnosperms and vascular plants from the entirety of the páramo, from Costa Rica to northern Peru. Of this number, 815 species (~27%) are reported with distributions within the jalca formations. Species and locality lists have been complied from collections made throughout the region (Luteyn, 1999; Sagástegui, 1989, 1995; Sánchez et al., 1993). For comparisons to the north, a vascular flora checklist for the high-elevation flora of Andean Ecuador has been published (Jørgensen & Ulloa-Ulloa, 1994) and will provide baseline data for comparison with that region. The vascular floras for a few high-elevation formations to the south of the study area have been reported, including Ancash (Smith, 1988) and San Martín (Young, 1991; Young & León, 1990). 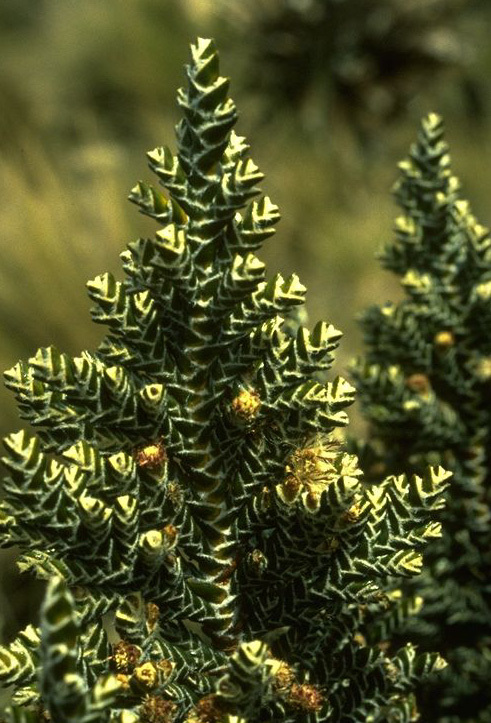 The vascular flora of La Libertad, a department with several jalca formations is being published in a series in Arnaldoa (López 1993, 1995 a,b, 1998). This listing is based upon the collections at HUT in Trujillo, and include 50 years of collections by Arnaldo López Miranda and Abundio Sagástegui Alva. These collections are being entered into the database and complete label-data captured. The Asteraceae for Peru, one of the most diverse families within the flora (Luteyn, 1999) have been recently surveyed (Dillon & Hensold, 1993) and work has begin upon some of the larger tribes represented in the jalca formations (Dillon & Sagástegui 1991a; Vision & Dillon, 1996). 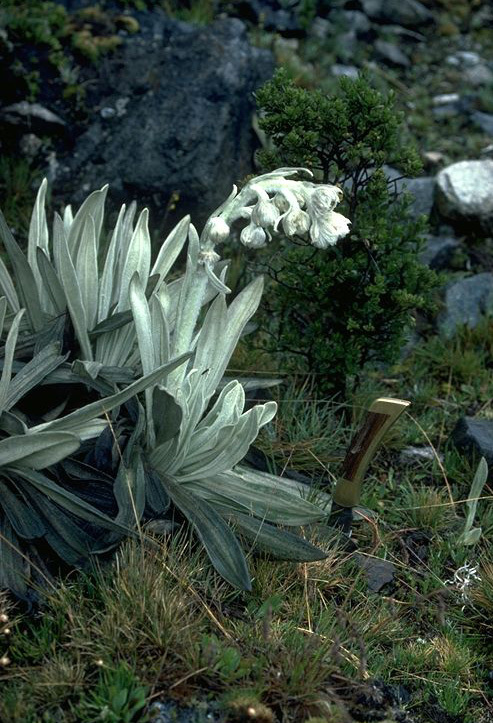 Hensold (1999) investigated the flora of the department of Cajamarca for levels of endemism and recorded endemics from within the jalca formations. A list of 318 angiosperm taxa (excluding Orchidaceae) are considered endemic to Cajamarca, based on the Brako & Zarucchi (1993), specimen data in the northern Peruvian database, published literature, and specialist review. In this survey, 45 endemic species in 14 families were reported for various jalca localities including Jalca de Hualgayoc, Jalca de Kumullca, Sunchubamba (including Abra Coymolache), Cascabamba, and Cumbemayo. While the jalca formations have been visited by many collectors and can be broadly characterized, no modern floristic inventories of the jalca have been accomplished to date. A few jalca formations are relatively well-known since major roads pass through or near them, for example, Jalca de Kumulca and Jalca de Calla Calla which are on opposite sides of the Marañón valley. However, the majority are quite inaccessible and have not been fully explored or collected. As an example, when we visited a jalca locality above the village of Incahuasi (Lambayeque) for a total of three days in 1994, our collections resulted in the discovery of five new species: Chrysactinium breviscapum Sagást. & Dillon, Diplostephium yahuacochense Cuatrec., Gynoxys dilloniana Sagást. & Téllez, Ranunculus lambayequensis Duncan & Sagást., Symplocos incahuasiensis Sagást. & Dillon (Cuatrecasas, 1993; Dillon & Sagástegui, 1988a, 1989; Sagástegui & Dillon, 1989, 1994; Sagástegui & Téllez, 1987, Duncan & Sagástegui 1990). Other species newly described from various jalca formations include: Gynoxys colanensis Dillon & Sagást., Pentacalia barbourii Dillon & Sagást., Jalcophila peruviana Dillon & Sagást., Chersodoma deltoidea Sagást. & Dillon, Belloa spathulifolia Sagást. & Dillon, Oligactis cuatrecasasii Dillon & Sagást., Senecio huaguilensis Cabrera & Zardini, Senecio piurensis Sagást. & Zardini, and Deprea pusilla Sawyer (ined.). The PI and collaborators have been describing biodiversity in northern Peru and examining potential phylogenetic relationships (Dillon & Sagástegui, 1986c, 1988b, 1994, 1996. 1999; Sagástegui & Dillon, 1985a, 1985b, 1988, 1992; Sagástegui & Sánchez, 1991). From 2000 till the present, our field surveys have sought to increase taxonomic and geographic knowledge to meet the priority of knowing what is within the jalca formations. When determinations are completed, comparisons between sampled areas can be completed. Collecting trips focused on under-explored jalca formations in six departments in northern Peru. Concurrently, many of the existing collections of the herbaria in Trujillo (HAO, HUT), Cajamarca (CPUN), and the Field Museum (F) have been entered into a database of northern Peruvian vascular plants (DETBASE). DETBASE contains nearly 25,000 specimen-based records, of which over 3300 records, are from páramo or jalca plants. Chersodoma deltoidea Diplostephium sp. Luciliocline sp.nov. Bazán-Zurita, H., I. Sánchez V., M. Cabanillas S., & A. Miranda L. 1998. La Jalca de Oro. Minera Yanacocha. Cajamarca, Perú. 128 pp. Becker, B. 1988. Degradation and rehabilitation of Andean ecosystems – An example from Cajamarca. Angew. Botanik (Göttingen) 62: 147-160. Brako, L. & J. Zarucchi, 1993. Catalogue of the Flowering Plants and Gymnosperms of Peru. Monogr. Syst. Bot. Missouri Bot. Gard. 45. Brown, J.H., & M.V. Lomolino. 1998. Biogeography: Second Edition. Sunderland, MA, Sinauer Associates. Brummitt & Powell, 1992. Authors of Plant Names. Royal Botanic Gardens, Kew. Bush, M.B., P.A. Colinvaux, M.C. Wiemann, D.R. Piperno & K. Liu. 1990. Late Pleistocene temperature depression and vegetation change in Ecuadorian Amazonia. Quatern. Res. 34: 330-345. Cabrera, A. & A. Willink. 1973. Biogeografía de América Latina. Monografía N°13 OEA. Washington, D.C. 120 p.
Cuatrecasas, J. 1968. Paramo vegetation and its life forms. Pp. 163-186. In Troll, C. (ed. ), Geo-ecology of the mountainous regions of the tropical Americas. Coll. Geogr. 9. Cuatrecasas. J. 1993. Miscelánea sobre flora Neotropica VI. Dos especies nuevas de Diplostephium del Perú. Rev. Acad. Colomb. Cienc. 18(71): 475-477. Dillon, M.O. 1988. 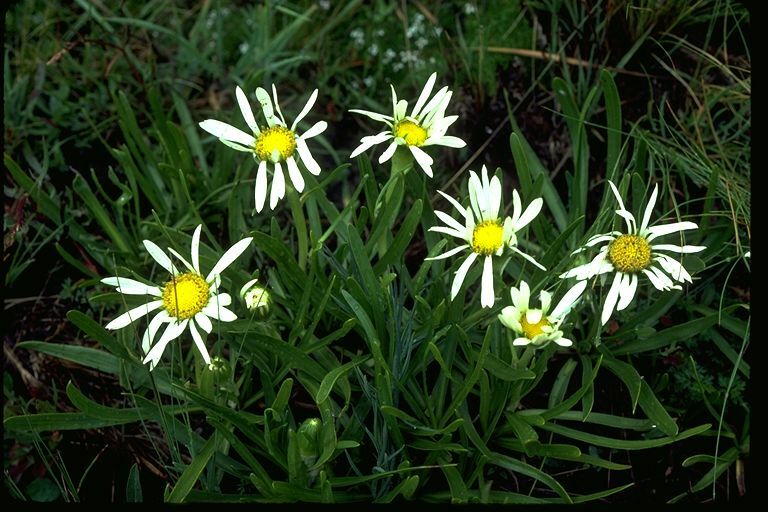 Generic limits and microcharacters in the South American Gnaphaliinae (Asteraceae-Inuleae) Amer. J. Bot. Abst. 75: 456. Dillon, M.O. 1994. Bosques húmedos del norte del Perú. Arnaldoa 2(1): 29-42. Dillon, M.O. 2003. New Combinations in Luciliocline with notes on South American Gnaphalieae. Arnaldoa 10(1): 45-60. Dillon, M.O., & N. Hensold. 1993. Family Asteraceae. In L. Brako & J. L. Zarucchi. Catalogue of the Flowering Plants and Gymnosperms of Peru. Monogr. Syst. Bot. Missouri Bot. Gard. 45: 103-189. Dillon, M.O. & A. Sagástegui A. 1986a. New Species and Status Changes in Andean Inuleae (Asteraceae). Phytologia 59: 227‑233. Dillon, M.O. & A. Sagástegui A. 1986b. 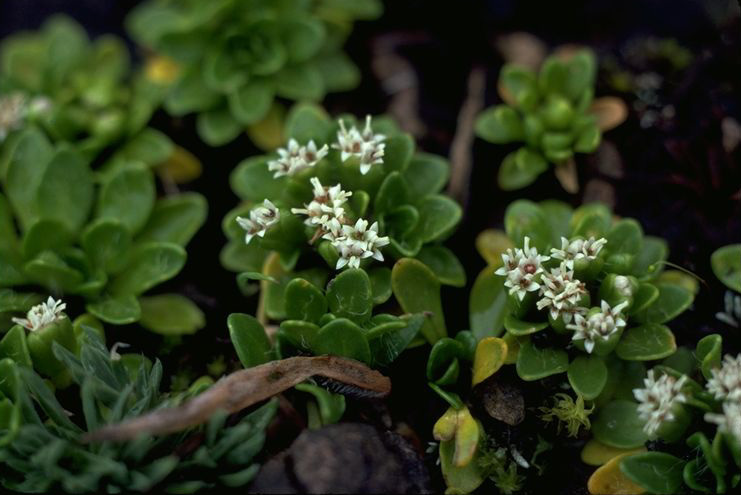 A new species of Achyrocline (Inuleae - Asteraceae. Phytologia 60: 107‑110. Dillon, M.O., and A. Sagástegui A. 1986c. 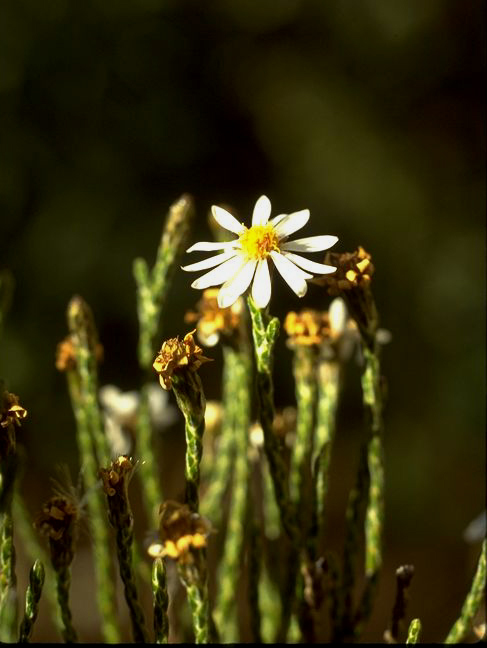 Jalcophila, a new genus of Andean Inuleae (Asteraceae). Brittonia 38: 162‑167. Dillon, M.O. & A. Sagástegui A. 1988. Additions to the South American Senecioneae (Asteraceae). Brittonia 40: 221‑228. Dillon, M.O. & A. Sagástegui A. 1991a. Family Asteraceae: Part V. Tribe Inuleae. In, J. F. Macbride & Collaborators, Flora of Peru, Fieldiana: Botany, N.S. 26, 1‑70. Dillon, M.O. & A. Sagástegui A. 1991b. 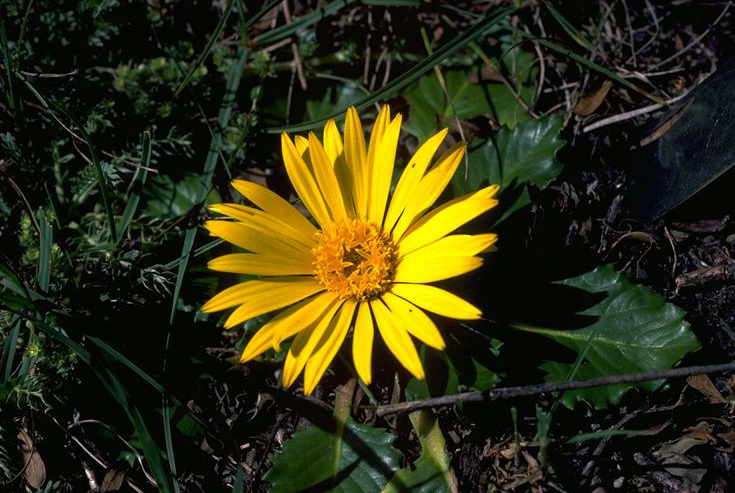 Sinopsis de los géneros de Gnaphaliinae (Asteraceae-Inuleae) de Sudamérica. Arnaldoa 1(2): 5-91. Dillon, M.O., & A. Sagástegui A. 1994. Estudios en la tribu Liabeae (Asteraceae) en Peru: II Una nueva especie de Oligactis procedente del norte del Perú y sur del Ecuador. Arnaldoa 2(2): 25-30. Dillon, M.O. & A. Sagástegui A. 1996. Revision of the dioecious genus Chersodoma Phil. (Senecioneae, Asteraceae), including a new species and status change. Brittonia 48: 582-604. Dillon, M.O. & A. Sagástegui A. 1999. Caxamarca, A new monotypic genus of Senecioneae (Asteraceae) for Northern Peru. Novon 9: 156-161. Dillon, M.O., ­A. Sagástegui A., I. Sánchez V., S. Llatas Q. & N. Hensold. 1995. Floristic Inventory and Biogeographic Analysis of Montane Forests in Northwestern Peru. pp. 251-269, In Biodiversity and Conservation of Neotropical Montane Forests, The New York Botanical Garden, Bronx, NY. Duncan, T., & A. Sagástegui A.1990. A new species of Ranunculus (Ranunculaceae) from Peru. Brittonia 42: 182-184. Hensold, N. 1996 . Base de datos de especimenes para la investigación y manejo de colecciones: Un manual practico para usuarios de DBase® Y WordPerfect®. Arnaldoa 4(2): 123-158. Hensold, N. in press. Las Angiospermas Endémicas del Departamento de Cajamarca, Perú. Arnadoa: Peruvian Congress Volume. Jrrgensen, P.M. & C. Ulloa-Ulloa. 1994. Seed Plants of the High Andes of Ecuador - A checklist. AAU Reports 34: 1-443. Keating, P. L. 1998 (1997). An inventory of plant species in the páramo of Cajanuma, Podocarpus National Park (Ecuador). Phytologia 83(5): 333-344. Keating, P.L. 1999. Changes in páramo vegetation along an elevation gradient in southern Ecuador. Journ. Torr. Bot. Soc. 126(2): 159-175. Kubitzki, K., ed. 1990. The Families and Genera of Vascular Plants, Vol. 1: Pteridophytes and Gymnosperms, Vol. editors K. U. Kramer & P. S. Green. Springer-Verlag, Berlin Heidelberg. López-M., A. 1993. Catálogo de la Flora del Departamento de La Libertad. Arnaldoa 1(3): 15-44. López-M., A. 1995a. Catálogo de la flora del Departamento de la Libertad (2nd parte). Arnaldoa 3(1): 59-91. López-M., A. 1995b. Catalogo de la flora del Departamento de la Libertad (3rd parte). Arnaldoa 3(2): 35-72. López-M., A. 1998. Catálogo de la flora del Departamento de La Libertad (4th parte). Arnaldoa 5(2): 215-263. Luteyn, J. L. 1992. Páramos: Why study them? Pp1-14. In: H. Balslev & J.L. Luteyn (eds. ), Páramo, An Andean Ecosystem under Human Influence, Academic Press, New York. Luteyn, J.L. 1996 . Fitodiversidad y conservación del páramo. Arnaldoa 4(2): 15-24. Luteyn, J. 1999. Páramos: a checklist of plant diversity , geographical distribution, and botanical literature. 278 pp. The New York Botanical Garden Press., Bronx, NY. Lynch, J.D. 1986. Origins of the high Andean herpetological fauna. Pp. 478-499. In: Vuilleumier & Monasterio (eds. ), High Altitude Tropical Biogeography, Oxford University Press, New York. Molau, U. 1988. Scrophulariaceae - Part I. Calceolarieae. Fl. Neotrop. Monogr. 47:1-326. Molau, U. 1990. The genus Bartsia (Scrophulariaceae - Rhinanthoideae). Opera Botanica 102: 1-99. Morrone, J.J., & J.V. Crisci. 1995. Historical biogeography: Introduction to Methods. Ann. Rev. Ecol. Syst. 26: 373-401. Myers, A.A. & P.S. Giller. 1988. Analytical Biogeography: An Integrated Approach to the Study of Animal and Plant Distributions. London & New York: Chapman & Hall. Parker, T.A., III, T.S. Schulenberg, G.R. Graves, &M.J. Braun. 1985. The avifauna of the Huancabamba region, northern Peru. Ornithological Monographs No. 36: 169-197. Riddle, B.R. 1996. The molecular phylogeographic bridge between deep and shallow history in continental biotas. TREE 11(5):207-211. Rodbell, D.T., G.O. Seltzer, D.M. Anderson, M.B. Abbott, D.B. Enfield, & J.H. Newman 1999. An ~15,000-year record of El Niño-driven alluviation in southwestern Ecuador. Science 283: 516-520. Rundel, P.W., M.O. Dillon, B. Palma, H. A. Mooney, S. L. Gulmon, & J. R. Ehleringer. 1991. The phytogeography and ecology of the coastal Atacama and Peruvian Deserts. Aliso 13(1): 1-50. Sagástegui-A., A. 1989. Vegetación y flora de la provincia de Contumazá. CONCYTEC, Trujillo, Peru. 76 pp. Sagástegui-A., A. 1995. Diversidad Florística de Contumazá. Editorial Libertad E.I.R.L., Trujillo, Peru. 203 pp. Sagástegui-A., A. 1996 . Flora Endemica de Los Andes Nor-Peruanos, Simposio de Biodiversidad y Desarrollo del Norte del Perú. Arnaldoa, 2(1): 43-64. Sagástegui A., A. & M.O. Dillon. 1985a. New species and combinations in Belloa (Inuleae‑Asteraceae). Phytologia 58: 392‑400. Sagástegui A., A. & M.O. Dillon. 1985b. Four new species of Asteraceae from Peru. Brittonia 37: 6-13. Sagástegui A., A. & M.O. Dillon. 1988. New species of Llerasia (Asteraceae: Astereae) from Peru. Brittonia 40: 363-367. Sagástegui A., A. & M.O. Dillon. 1989. 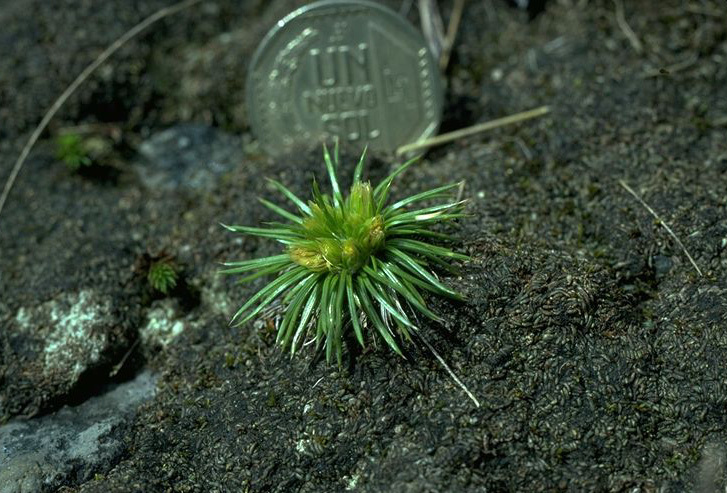 A new species of Symplocos (Symplocaceae) from northwestern Peru. Brittonia 41: 32-34. Sagástegui A., A. & M.O. Dillon. 1991. Inventario preliminar de la flora del Bosque Monteseco. Arnaldoa 1(1): 35-52. Sagástegui A., A. & M.O. Dillon 1994. Estudios en la tribu Liabeae (Asteraceae) en Peru: III. Una nueva especie de Chrysactinium del norte del Perú. 2(2): 31-35. Sagástegui-A., A., M. O. Dillon, S. Leiva G., P. Lezama A. 1999. Diversidad Florística del Norte de Perú. Trujillo, Perú. 228 pp. Sagástegui & Sánchez 1991. Una nueva especie de Chuquiraga (Asteraceae-Mutisieae) del norte del Perú. Arnaldoa 1(2): 1-4. Sagástegui & Téllez 1987. A new species of Gynoxys (Asteraceae: Senecioneae) from northern Peru. Brittonia 39: 432-435. Sánchez Vega, I. 1976. Contribución al Estudio Ecológico de la Jalca en el Departamento de Cajamarca, Perú. Thesis doctoral, Univ. Nac. de Trujillo. Trujillo. 29 pp. Sánchez-Vega, Isidoro. 1996 . Recursos vegetales y desarrollo en el norte del Peru. Arnaldoa 2(1): 145-168. Sánchez Vega, I., H. Bazán, & M. Cabanillas. 1993. Informe preliminar de flora y fauna del área de Maqui Maqui, Cajamarca, Perú. Minera Yanacocha, S.A.
Sánchez-Vega, I., H. Bazán Z., M. Cabanillas S., y A. Miranda L. 1998. La Jalca de Oro: Biodiversidad, medio ambiente y minería en la Sierra de Cajamarca, Perú. 128 pp. Minera Yanacocha S.A.
Sánchez-Vega, I., A. Briones R., B. Murrugarra y A. Guerra. 1990. Catálogo de los Géneros y Especies del Herbario del Proyecto Piloto de Ecosistema Andinos (PPEA/PNUMA-UNC). Proyecto Piloto de Ecosistemas Andinos, Cajamarca, Perú. 138 pp. Simpson, B.B. 1975. Pleistocene changes in the flora of the high tropical Andes. Paleobiology 3: 273-294. Simpson, B.B. 1979. Quaternary Biogeography of the High Montane Regions of South America. In, The South American herpetofauna: Its origin, evolution and dispersal, W. Duellman, ed., pp. 157-188. Lawrence: University of Kansas Press. Simpson, B.B., & C.A. Todzia. 1990. Patterns and processes in the development of the high Andean flora. Amer. J. Bot. 77: 1419-1432. Smith, D.N. 1988. Flora and vegetation of the Huascarán National Park, Ancash, Perú, with preliminary taxonomic studies for a manual of the flora. PhD. dissertation. Iowa State University, Ames. Vision, T.J., and M.O. Dillon. 1996. Sinopsis de Senecio L. (Senecioneae, Asteraceae) para el Perú. Arnaldoa 4 (1): 23-46. Young, K.R. 1991. Floristic diversity on the eastern slope of the Peruvian Andes. Candollea 46: 125-143. Young, K.R. & B. León. 1990. Catálogo de las plantas de la zona alta del Parque Nacional Río Abiseo, Peru. Publ. Mus. Hist. Nat. “Javier Prado,” Ser. B, Bot. 34: 1-37. Young, K.R., & C. Reynel. 1997. Huancabamba Region: Peru and Ecuador. Pp. 465‑469. In: S. D Davis, V. H. Heywood, O. Herrera‑McBryde, J. Villa‑Lobos and A. C. Hamilton (eds. ), Centres of Plant Diversity, A Guide and Strategy for their Conservation. WWF, Information Press, Oxford, U.K.
Weberbauer, A. 1936. Phytogeography of the Peruvian Andes. Field Mus. Nat. Hist., Bot. Ser. 15: 1-587. Dirección de Agricultura, Estación Experimental Agrícola de La Molina, Lima. 776 pp. Weber, W. A. 1982. Mnemonic three-letter acronyms for the families of vascular plants: a device for more effective herbarium curation. Taxon 31: 74-88.